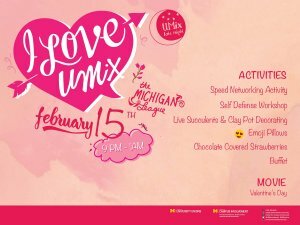 Fall in love with UMix all over again at I Love UMix on February 15th! 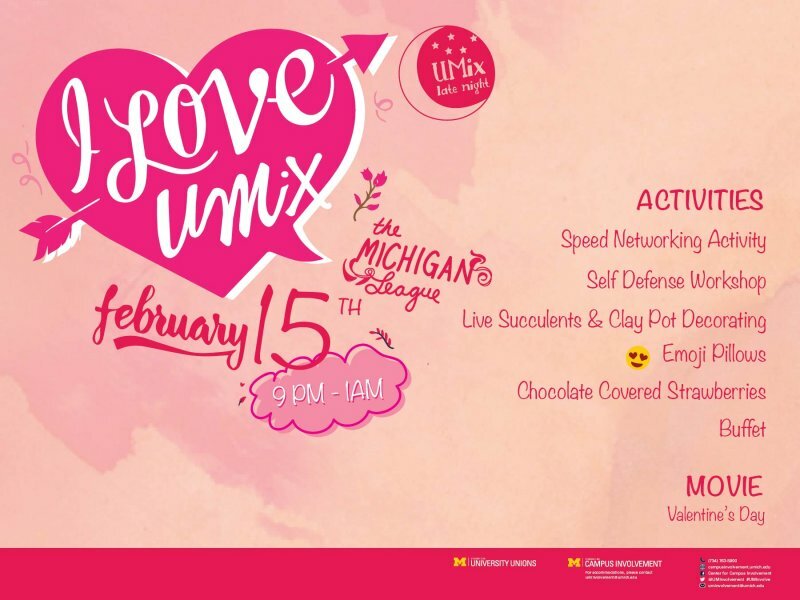 Take a self-defense class, make an emoji pillow, or practice speed networking. Hungry? Grab food at the buffet or munch on some chocolate strawberries. The fun begins at 9pm in the Michigan League!